There is no record of this baby girl’s birth or death in the records of Zion Lutheran Chatt. 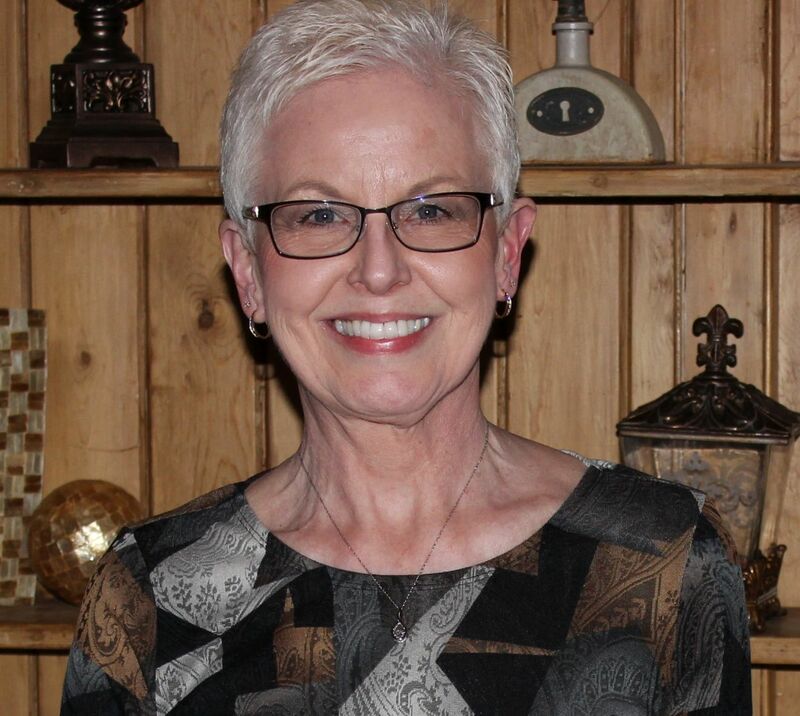 There is no record of her birth or death in Mercer County’s probate records. She does not have a name and is known only as Infant Daughter. She may have been stillborn or she may have died within hours after her birth. We will probably never know the details of her very brief life. I believe this infant was the child of Edward Rudolph and Almedia “Allie” Kessler and I determined this from the 1910 census. The 1910 census indicates that Edward and “Allie” Kessler were living in a rented house in Dublin Township, Mercer County, Ohio, where Edward worked as a farm hand. Edward and Allie had been married 7 years, which means they married about 1903. The census also indicates that Allie had given birth to two children but only one was living in 1910. Their living child was their son Clem W. Kessler, who was nine months old when the census was taken in April 1910. More recent censuses show that Allie’s name was Almedia but I have not been able to determine her maiden name. 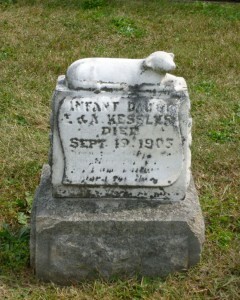 Edward Rudolph and Allie Kessler are not buried in Kessler Cemetery near their infant daughter and I do not know where they are buried. That will require more research. Edward Rudolph (1877-1950) was the son of Christian and Margaret (Haffner) Kessler. Christian (1843 or 45-1904) and Margaret (1852-1900). Christian and Margaret were featured in a Tombstone Tuesday post a few weeks ago. The little lamb on this small marble tombstone represents innocence and purity and is a common figure on children’s grave markers. No records, just a tombstone! While the lack of records may be a sign of the times, the tombstone certainly is a sign of love, concern and hope. As you describe this family, they did not have much, yet they took from what little they had to place a real marker and make a gesture of loving hope for heaven for a child they never got to know (most likely). Indeed there was clearly saddness, but so much more in the time consuming and expensive act for their child. How many more were not able to make such a rich gesture? Obviously you are very cautious about what gets posted on this comment section. While edits have been subtle and rare, they are still apparent. Is there a set of rules, criteria, or expectations that must be met? Certianly many online blogs are notorious for allowing almost anything and often being offensive, so careful mangement is not at all unreasonable or undesireable, and definitely assures clean, honest and controlled display of information. However, one is left wondering what was offensive, inappropriate or otherwise elicited editing when it occurs. Clearly this type of management requires more time, energy and judgement than simply letting the system open to any or all input, including scammers, spammers and worse. On the other hand, not knowing why something was dis-allowed can be intimidating and limiting to future interaction.